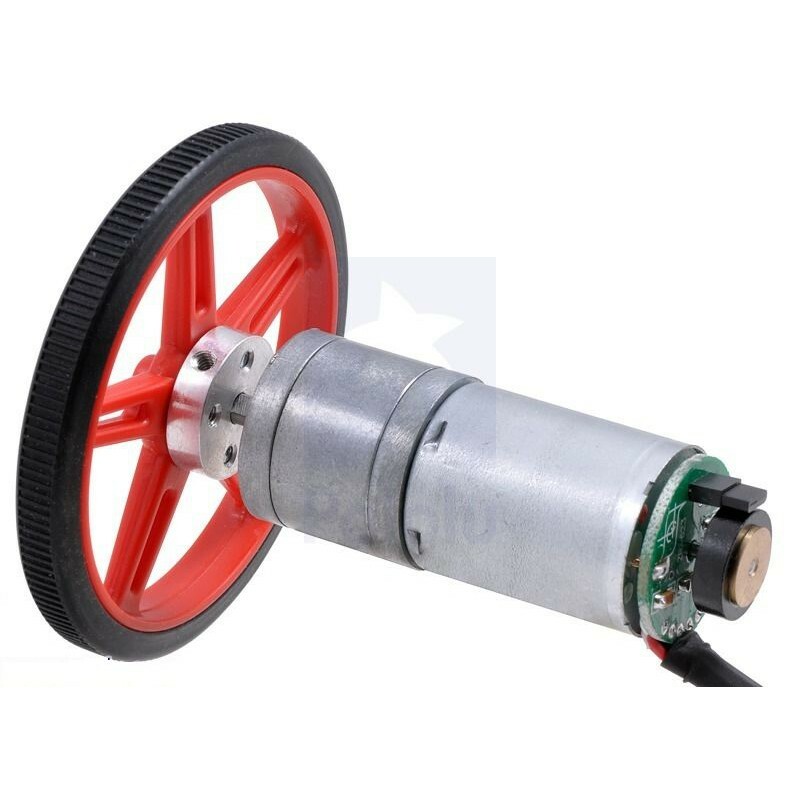 This cylindrical, 2.62" x 0.98" x 0.98" gearmotor uses a brushed DC motor with extra-strong magnets and a 98.78:1 metal gearbox to deliver a lot of power in a relatively small package. 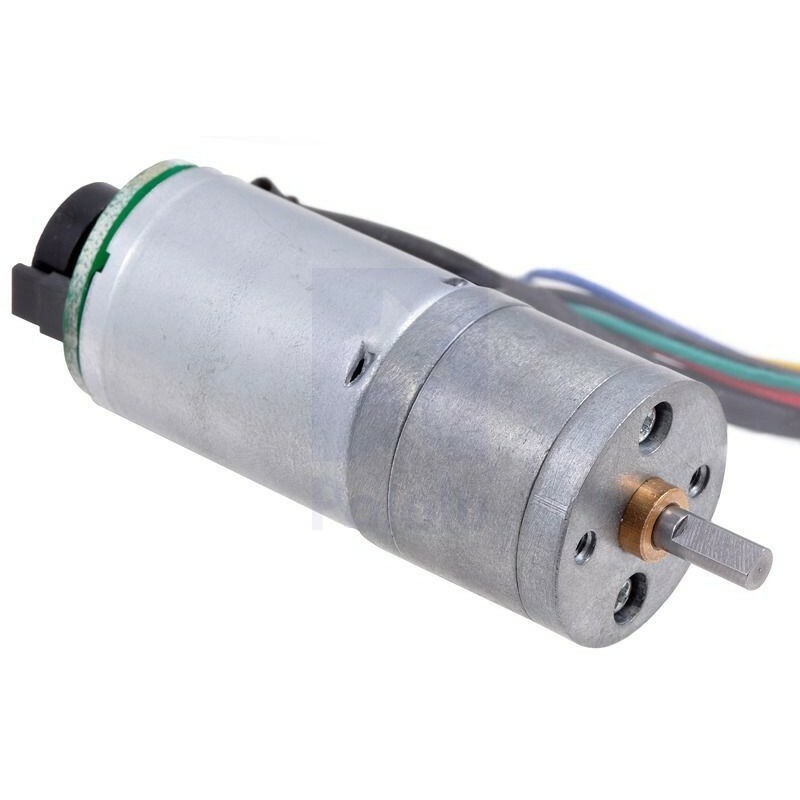 It has an integrated 48 CPR quadrature encoder on the motor shaft, which provides 4741 counts per revolution of the gearbox’s output shaft. 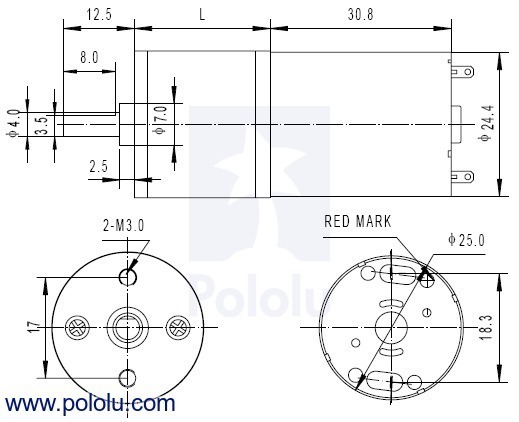 These units have a 0.315"-long, 4 mm-diameter D-shaped output shaft. 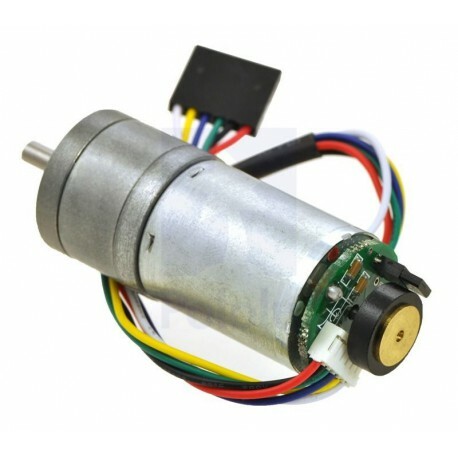 We also carry a version of this gearmotor without an encoder. Key specs at 6 V: 100 RPM and 450 mA free-run, 160 oz-in (11.5 kg-cm) and 6 A stall. This brushed DC gearmotor is available in high- and low-power versions in a number of gear ratios. 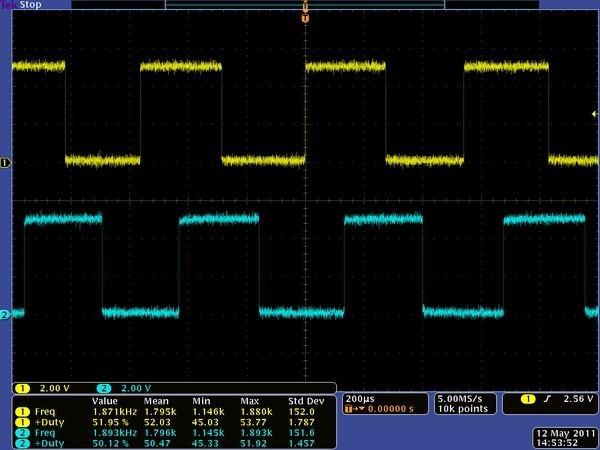 The motor and encoder portions are available by themselves (i.e. without the gearbox), and many other gear ratios are also available without an encoder. Note: At some of the higher gear ratios, these motors can generate enough torque to damage themselves. Any torque greater than about 250 oz-in (18 kg-cm) is likely to damage the gearbox, so we recommend that you avoid stalling the 172:1 HP, 227:1, 378:1, and 499:1 versions of these motors at 6 V.
The diagram below shows the dimensions (in mm) of the 25D mm line of gearmotors. The value of L is shown in the table below.